Grinders can be classified by a number of different factors based on how the grinder is powered as well as what materials are being processed. Different types of grinding mills include windmill, water mill, stamp mill, roller mill, oil mill, hammer mill, pellet mill, conical mill and many more. The ball mill is generally the most common type of grinder that converts large solid materials into powder. This type of grinder utilizes a cylindrical container that rotates and the container is filled with the material and a grinding medium such as stainless steel balls or ceramic balls. Disc Mills are grinders that are equipped with opposing discs that pulverize the materials as it is fed into the machine. Hammer mills have steel barrel with a number of hammers that are mounted to the shaft. The barrel will spin at a high rate which then crushes the material that is placed in the hammers path. Hammer mills also have a feature that allows the operator to adjust the screen size of the grinder which changes the size of the finished product. Grinders Grinders are size reduction machines that process solid matter with mechanical force and break down the material to a grain size consistency. The purpose of his equipment is to convert unwanted scrap or materials into a usable substance that can be used to recycled or reprocessed into a usable product. 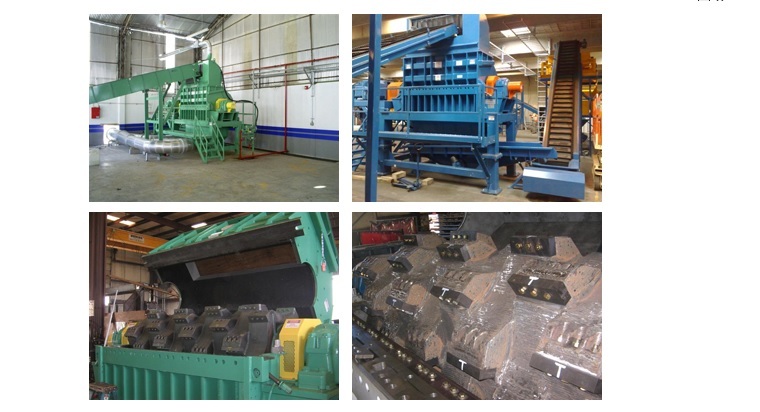 Grinders are ideal for different processing applications such as waste to energy, metal scrap, rubber, and plastic.